This Midwestern metropolis on Lake Michigan is one of the best places in the U.S. for a family trip. This Midwestern metropolis on Lake Michigan is one of the best places in the U.S. for a family trip. There’s good food and lots to explore, including skyscrapers, public art, science museums, and the zoo. The city’s grid layout makes it easy to find your way around, too. 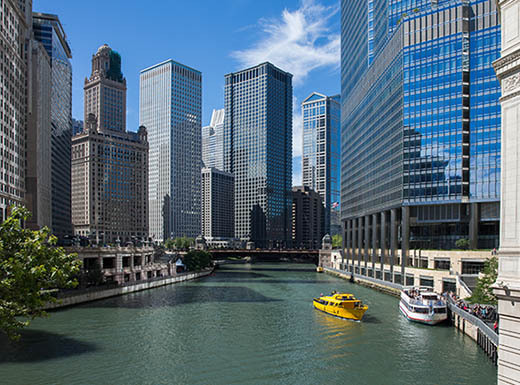 Here are five Windy City attractions your family should put on the list. The urban Lincoln Park Zoo is the place to go if your family loves animals. Meander by the penguins, say “hello” to the Arctic polar bear, check out the naked mole rat’s funny teeth, and decide which is cuter — the two-toed sloth or the red panda. The zoo is home to more than 150 types of animals. Open year-round and with free entrance, the Lincoln Park Zoo is one of the best-value family activities in the Chicagoland area. In Chicago, you have your pick of two excellent famous views. Head up the elevator at the John Hancock building to its 360 Chicago Observation Deck, or get in line to zoom to the top of the Willis Tower Skydeck, formerly known as the Sears Tower. You can’t go wrong at either. Skydeck offers glass observation ledges where you can stand, jump, and take photos. Brave children will get a thrill from looking straight down to the streets below. The 360 Chicago Observation Deck features Tilt, an experience where you hold onto handrails on specially designed windows. The windows then tilt forward, away from the building. Don’t worry — it’s fully enclosed. 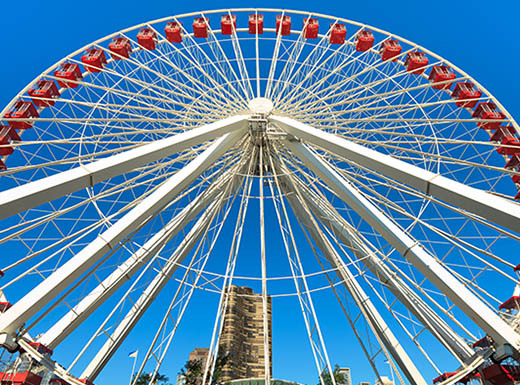 Extending out over Lake Michigan, Navy Pier offers fun for all ages. For an old-fashioned view of the lake and downtown area, hop onto the Centennial Wheel, which towers to 200 feet. It operates year-round, and each gondola is fully enclosed, so don’t worry about getting too cold in winter. Several other amusement park attractions at Navy Pier draw in families, including the carousel and the high-tech climbing walls. The city’s Chicago Children’s Museum is located here, too. 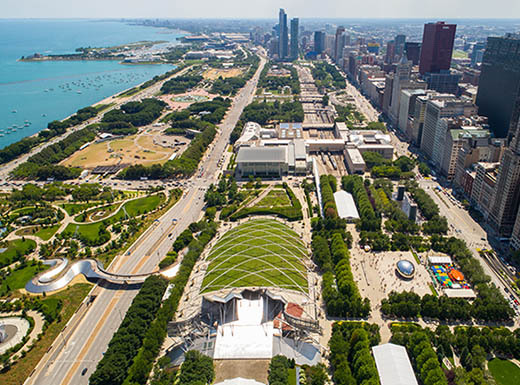 Take an outdoor art walk at Millennium Park on Chicago’s Michigan Avenue. 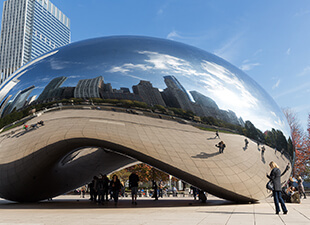 The Cloud Gate sculpture, affectionately known as “the bean,” looks like a gigantic silver kidney bean, and kids get a kick out of playing with their reflections on the surface. Another popular attraction is the Crown Fountain, which consists of two tall sculptures with videos showing close-up faces staring at each other from across the fountain area. Lurie Garden, also in the park, is a great place to see flowers and beautiful landscaping, and there are some seemingly hidden trails and waterways that are fun to discover. 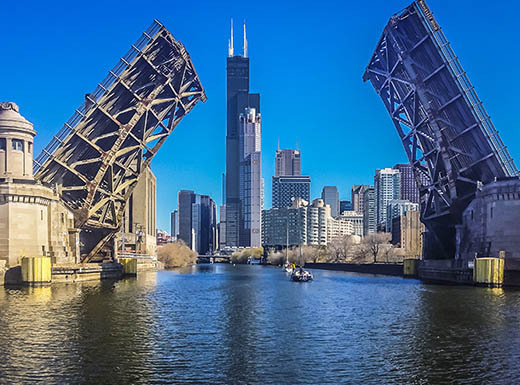 The Chicago River cuts through downtown, so it’s easy to take a kayak tour in warmer months — or even rent a stand-up paddleboard. 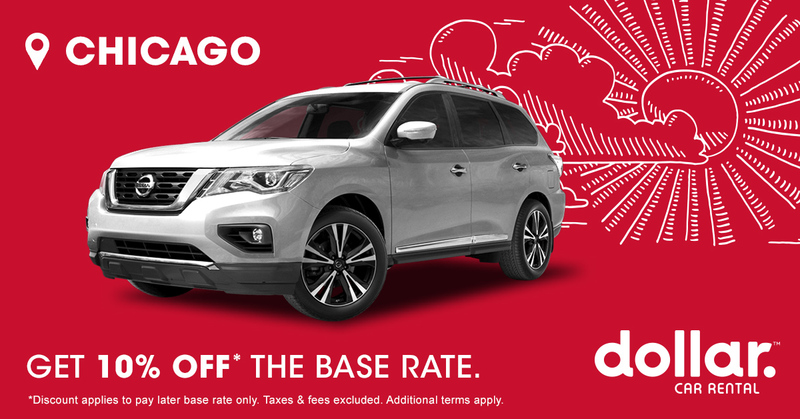 Several companies offer various trip types, whether you want to learn about Chicago’s architecture, get a skyline view, watch fireworks, or see the city at sunset or night. Or just sit back on a river cruise, perusing the buildings while your guide points out interesting facts. 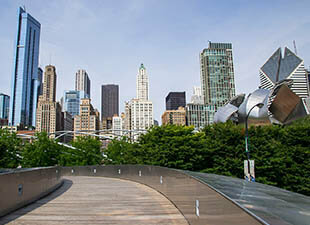 What are your favorite spots in Chicago for family fun? Share your best-loved locales with us on Twitter. 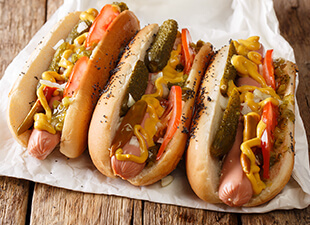 The bubbling cheese on Chicago’s famous deep-dish pizza and the bright green relish on the signature hot dogs may inspire you to go back for seconds, but the city offers much more than tasty bites worth a plane ride. Apologies to Ferris Bueller, but there’s more to do on a day off in Chicago than catching a Cubs game at Wrigley or visiting the Chicago Art Institute.